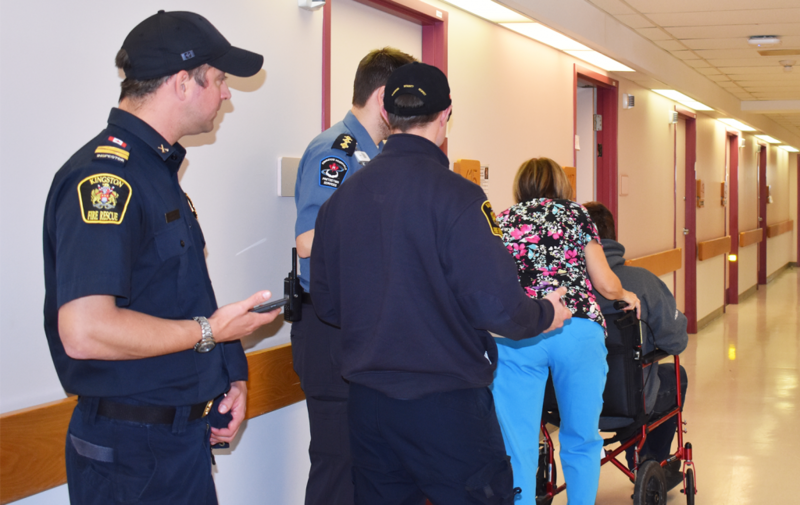 Emergency preparedness is a top priority at Providence Care, that’s why at least once a month, fire drills are held at Providence Care Hospital and Providence Manor. At least once a month you’ll hear ‘Code Red’ plus a location, over the public address system at Providence Care Hospital and Providence Manor. And while it’s only a drill, it’s more than just an announcement. What you don’t see or hear, are staff, taking part in a fire drill exercise. 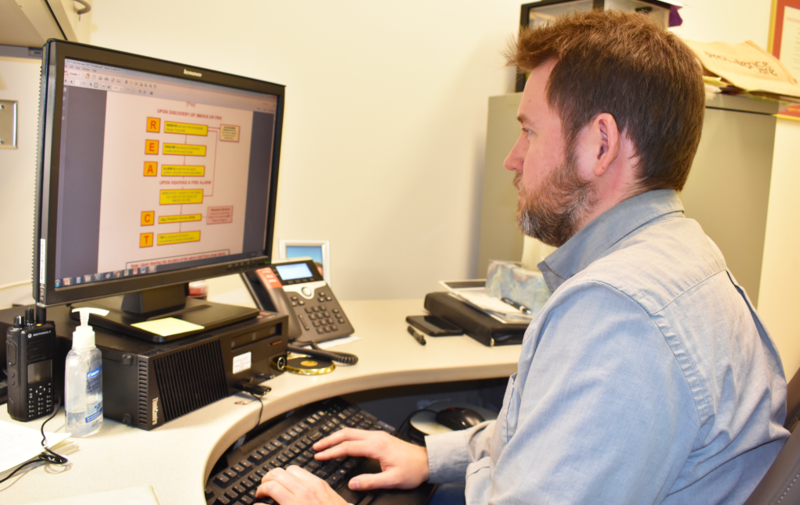 “The safety of our patients, clients and residents depends on our ability to respond effectively during an emergency,” explained Jordan Pike, Emergency Management Coordinator with Providence Care. 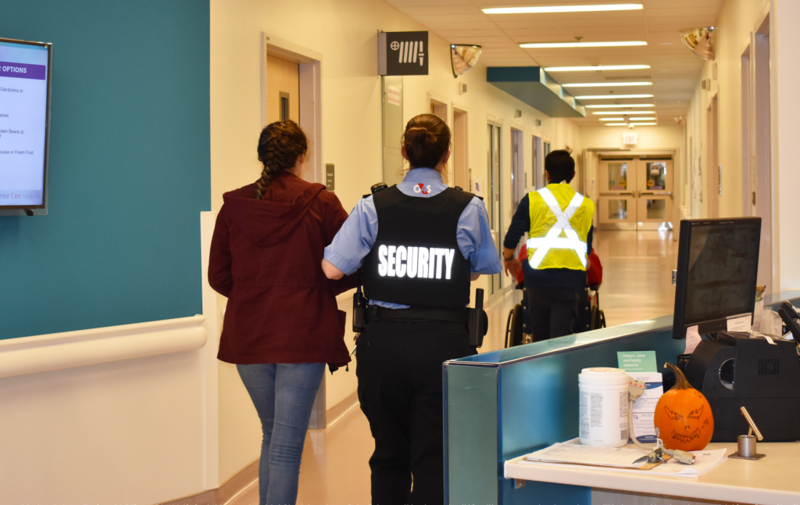 Emergency preparedness is a top priority at Providence Care, especially when it comes to patient, client, resident, and staff safety. 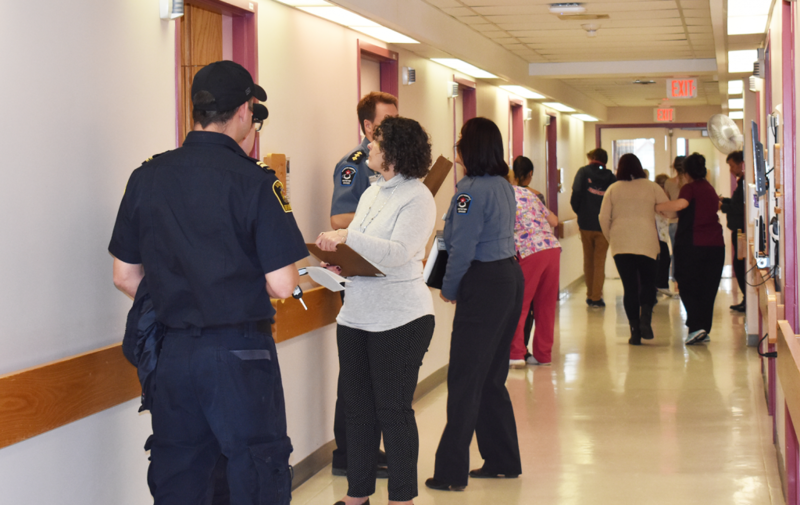 Every month, a different location within the hospital and home is chosen for the mock fire drill exercise. Even the staff involved change from month to month, so that everyone has a chance to take part. The drills cover Code Red – Fire, and Code Green – Evacuation. Each exercise begins the same way. “I do an in service with staff who will be participating, and run through the steps of a fire response,” explained Pike. He also goes over how to use a fire extinguisher properly. After his in service, staff put their knowledge into practice with a mock response. 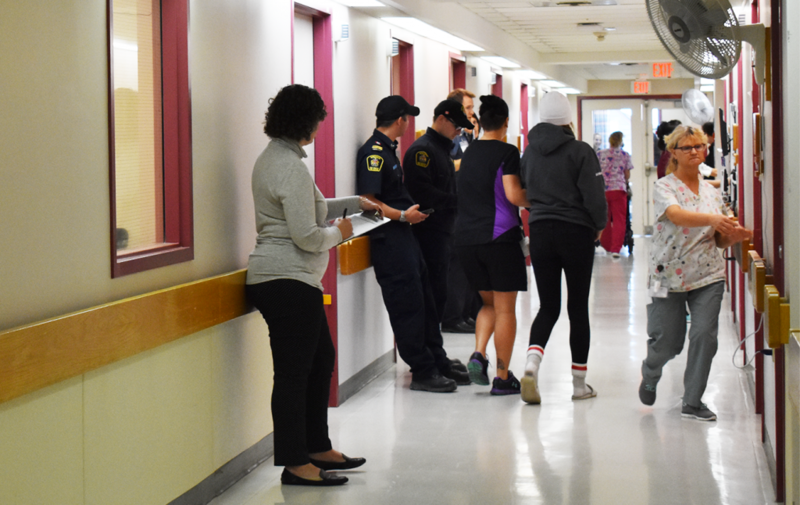 In addition to the monthly drills, once a year, Pike coordinates an Egress Evacuation exercise at the hospital and the home. “Egress means leaving a location,” explained Pike. It’s a much larger drill, involving Kingston Fire and Rescue and takes about a month to plan. Staff must respond to the mock fire and evacuate patients or residents across fire separation doors, all while being timed. “We simulate worst case scenarios. We usually select the scenario of a weekday at 2:00 a.m., where there’s the least number of staff in the building, and all the patients or residents are asleep and groggy,” explained Pike. The patients and residents are played by student volunteers from La Salle Secondary School. They’re given profiles and act out those characteristics, such as using a wheelchair. 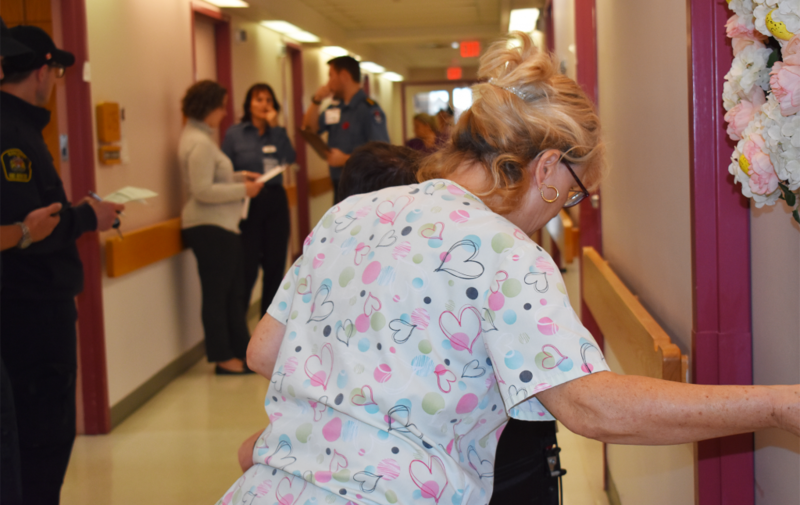 Both Providence Care Hospital and Providence Manor held their Egress Evacuations in the fall. In addition to the monthly fire drills, once a year, Pike coordinates an Egress Evacuation exercise. Like with the monthly fire drills, Pike holds an in service with staff prior to the exercise, but once the drill begins, he can no longer provide assistance. Staff must complete the evacuation on their own. Timing starts the minute the fire alarm goes off and ends when all student patients and staff in the affected area are safely accounted for in a predetermined rendezvous point. At Providence Manor the resident room doors are rated for about 20 minutes of fire protection. 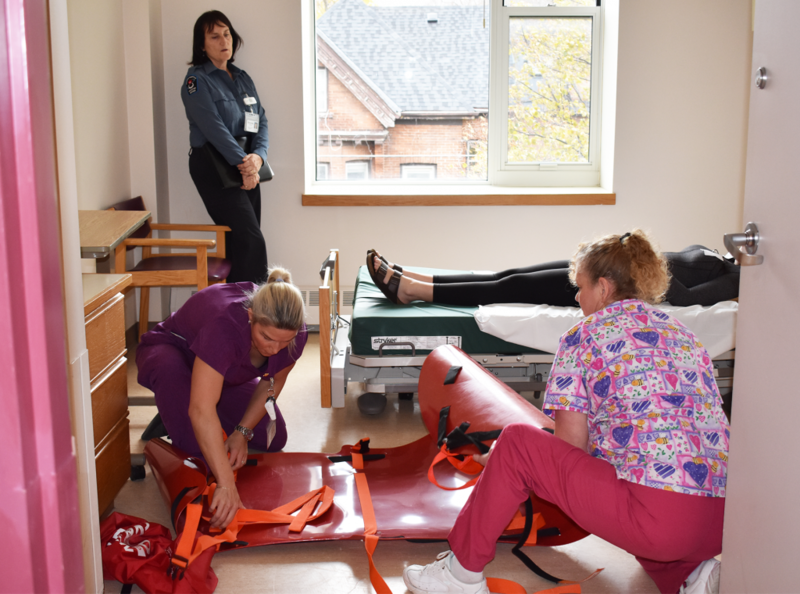 During last fall’s drill at the home, 18 student residents needed to be evacuated by eight staff members. “Some student residents were totally non ambulatory, meaning they can’t walk, and they might not be able to be placed into a wheelchair, even with two staff members,” recalled Pike. 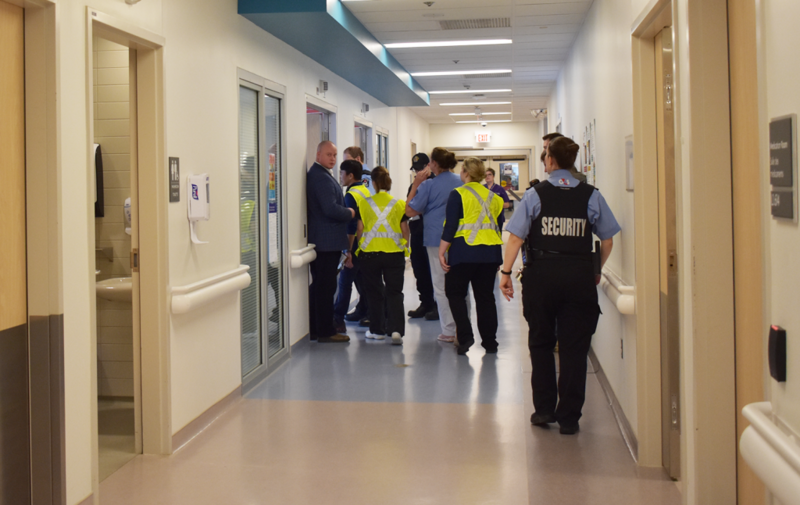 At Province Care Hospital, seven staff members were responsible for evacuating an entire pod, a total of 10 student patients, during the exercise. “The entire hospital has sprinklers, which gives us more time, and the patient room doors are rated for about 40 minutes of fire protection. The total time here is about 100 minutes, and we never come close to using all that time,” said Pike. Overall, Pike said the evacuation drills typically last 10-15 minutes. A debrief is held at the end of each exercise with Kingston Fire and Rescue, to go over what went right and what needs improvement. That information is then incorporated into education and into next year’s evacuation exercise. Pike said one of the most important things to remember during drills like these, is to communicate. 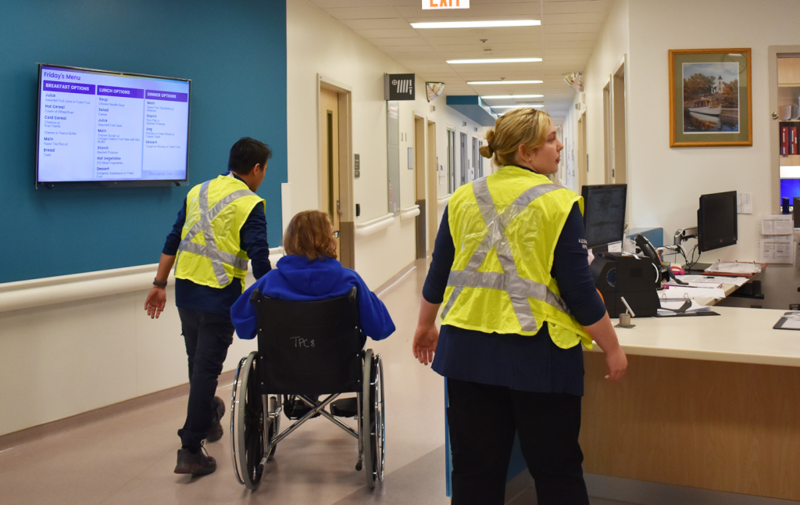 In addition to the drills, every year the more than 1600 Providence Care staff must also complete an educational module online that reinforces the training Pike delivers.